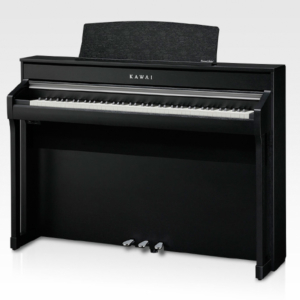 The Yamaha CVP-709GP – How could Yamaha improve the design of the ultimate Clavinova CVP-709 digital piano? 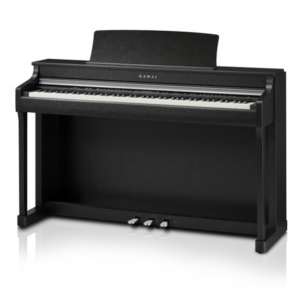 Put it in a polished ebony grand piano cabinet. 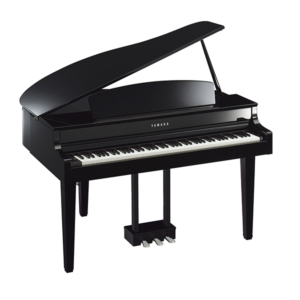 Grand piano style and design. 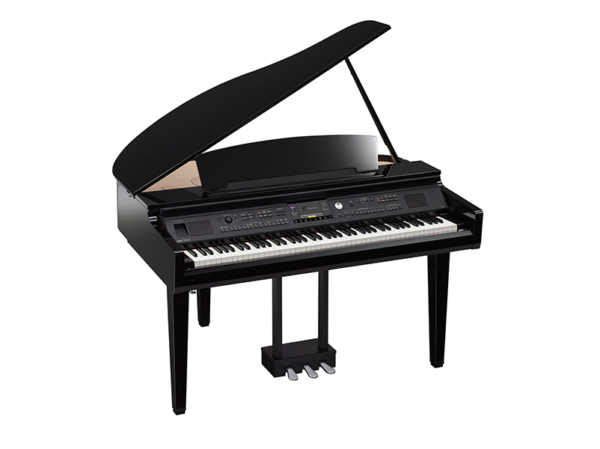 With its large cover, beautiful curves and other styling accents, the CVP-609GP has a grand piano-like presence that will take your breath away. With the CVP-709GP, you can produce rich, expansive sound projection from the piano itself, thanks to its exclusive acoustic design. 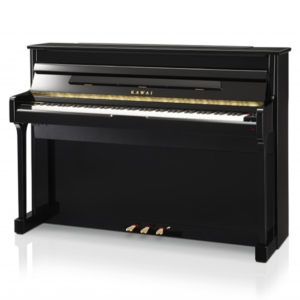 The high tones reflect off the grand piano lid while the low tones echo from the top of the instrument by the baffle-board and tone escape, achieving outstanding sound projection. Bass notes are also emitted from the lower cabinet by a bass reflex port, allowing the sound of the entire instrument to take on its natural depth. Through this acoustic design, the expansive sound projection of a grand piano is realized.